Bambi is one of those films that might have ended up mediocre if it wasn't for the fact that everybody involved in this production was a top notch artist. All that realism Walt Disney called for could have resulted in a boring, stilted movie. 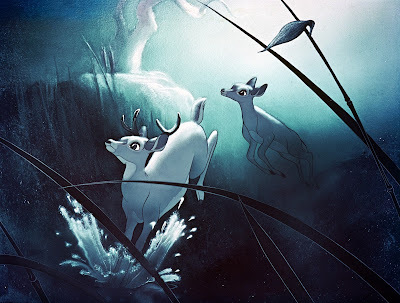 Yet it turned out to be one of Disney's most elegant, poetic and best animated films. 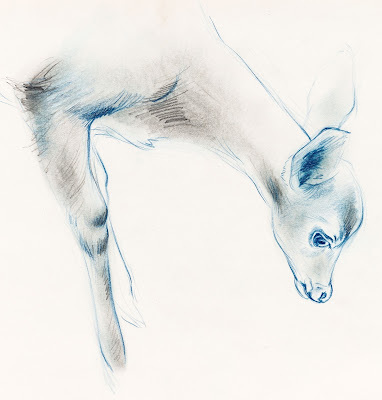 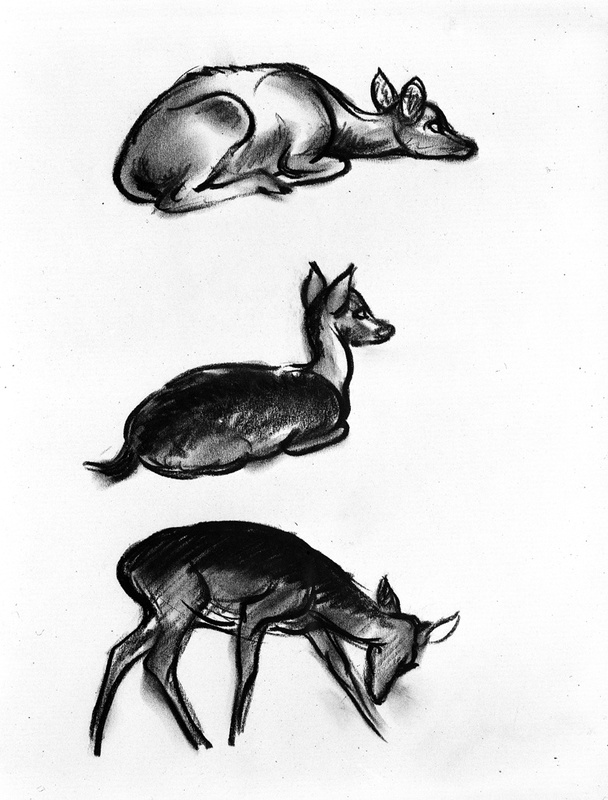 Just look at Mar Davis' quick sketches of real deer! 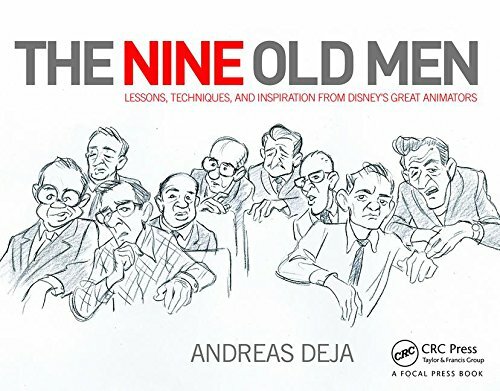 That anatomical knowledge enabled him to produce story sketches with the right degree of caricature and personality. 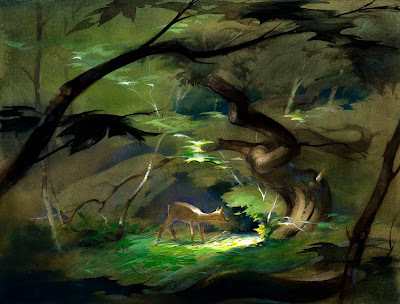 A beautiful study, possibly by Tyrus Wong. 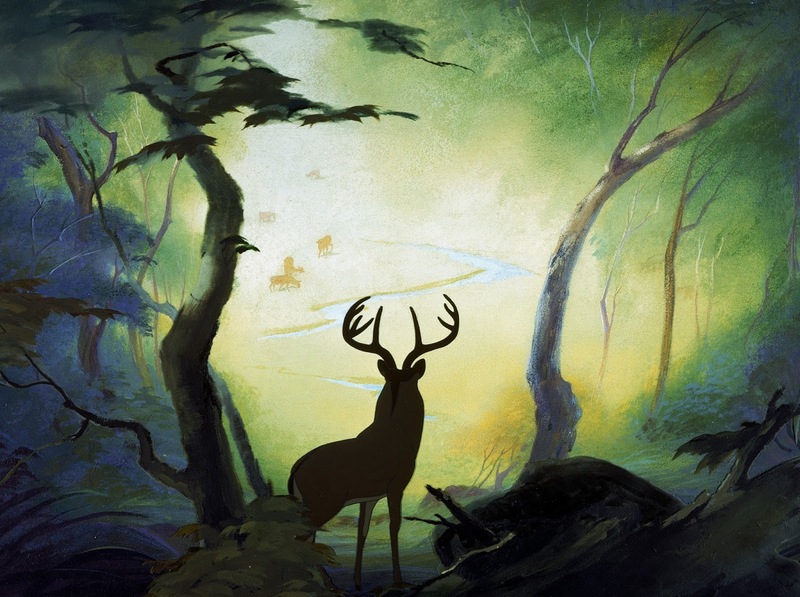 Image Heritage Auctions. Layout and background artists became experts in staging and lighting scenes. A publicity sketch, possibly by Frank Thomas. 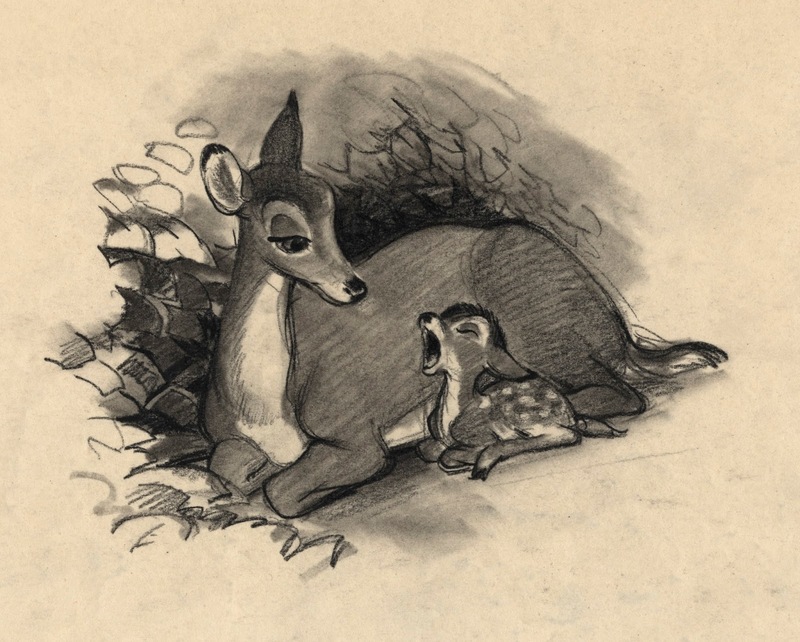 Just like in Jungle Book decades later, the film's story is extremely simple. 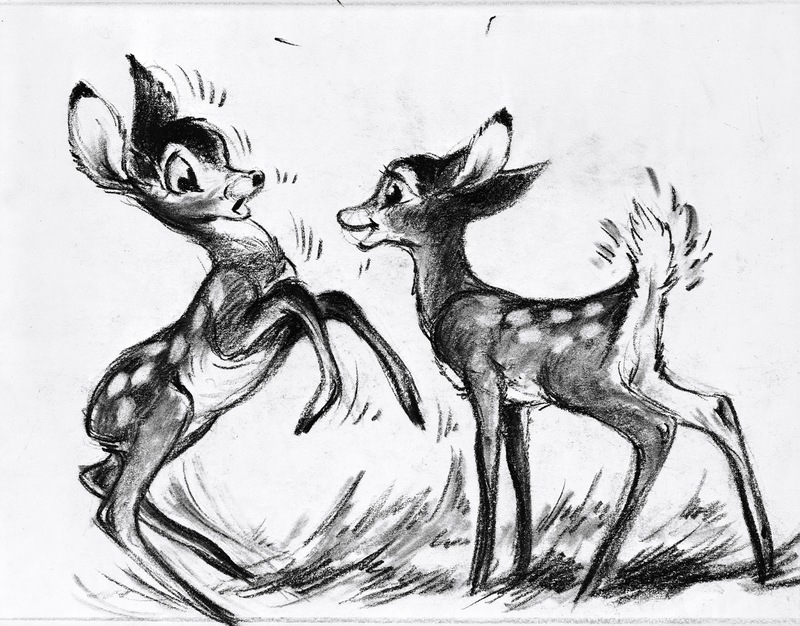 That meant that art direction and the personality animation needed to be extraordinary to keep audiences involved and spellbound.